Jamaica is a top 5 destination in the Caribbean. Jamaica is the largest English-nation in the Caribbean. Kingston, its capital city, is located on the South coast of the island, but the most attractive wedding locations are on the North and west coast. The top areas include Montego Bay, Negril, Ocho Rios and Port Antonio. The reason couples are rushing to Jamaica for their Caribbean Wedding is, the island’s scenic landscape with mountainous backdrops and cliffs overlooking the Caribbean sea, botanical gardens and green golf courses. Plus, Jamaica’s stunning white sand beaches, vibrant music, tantalising cuisine and world-class services. Together they create the perfect setting for the ideal Caribbean wedding or honeymoon. Love is in the air in Jamaica, and the blinding white-sand beaches, aqua green, water, swaying coconut palms in the balmy tropical breezes and the never-ending summer sunshine put couples in the mood for romance. The perfect island for a Caribbean Destination wedding, make it a Jamaica wedding. Jamaica provides a wide variety of venues and backdrops for wedding ceremonies and receptions, including private villas, resorts, lawns, restaurants, places of worship, stunning beaches with breathtaking sunsets, precipices gazing over the Caribbean Sea and gardens with vibrant colours. You name it, and your wedding planner will make it happen for you. Jamaica also has a lot of resorts that specialises in weddings and have weddings included in your holiday packages. After the marriage service, couples can enjoy many fun experiences like diving at world-class reefs in Negril, going on a bar-hopping excursion in Montego Bay, Swim with dolphins or visit the famous Dunn’s River Falls in Ocho Rios. Other tours and activities include exploring the Black River Safari, the Appleton Estate Rum Tour, cliff-diving and breathtaking sunsets at Rick’s Cafe, river rafting, zip-lining, cruises and off-the-beaten-path excursions. Montego Bay is filled with boutique shops, high-end restaurants, clubs, bars, championship golf courses on luxurious resort properties and historical Great Houses. 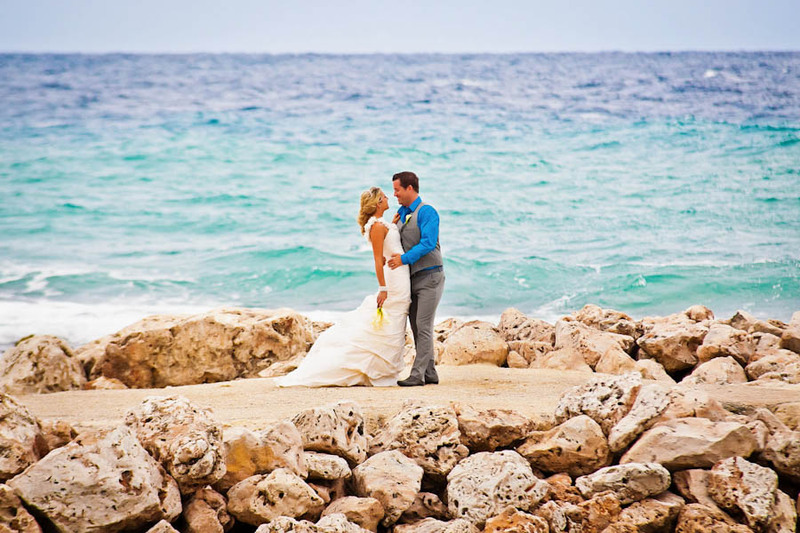 Montego Bay is a mixture of man-made and natural beauty, making it a popular location for weddings. Most couples will opt for the more traditional resort weddings, but there are also many offsite locations like botanical gardens and piers and the Montego Bay Conventional Centre for larger weddings. Montego Bay is also home to many all-inclusive resorts such as Sandals Montego Bay which is one of the few resorts on the Island with a Chapel. Negril is the most popular location for weddings in Jamaica. Negril’s scenic coast lined with towering cliffs and bustling beaches freckled with numerous all-inclusive resorts, bars, restaurants, nightlife spots and the most beautiful sunset you can find in the Caribbean. Most of the resorts on the beach specialise in weddings; there are also some beautiful locations on the cliffs overlooking the glistening the Caribbean Sea. Ocho Rios, in the parish of St. Ann which is nicknamed “the Garden Parish” is also a popular location. From the beauty of its waterfalls, beaches and rivers to the elegance of its all-inclusive resorts, it is a popular destination for all types of couples. Ocho Rios is also the home of Dunn’s River Falls, and this area is also full of all kinds of resorts and private villas for you to choose from. Jamaica also offers cruise ship and shoreside weddings, but cruise ships have to be at port for six hours or more for it to be valid for wedding ceremonies. Legal Requirements To ensure that planning your special day is hassle-free, the following information should help guide you through the process. Visitors can get married just 24 hours after arriving in Jamaica, given that an application for a marriage licence has been made prior. If you are not from an English-speaking country and your country has no High Commission or Embassy in Jamaica, you may have requirements for legalising your documents. Prices may vary depending on the Marriage Officer that you choose; however, the process remains the same. NOTARIZED COPIES of all documents will be required to be sent by courier to the Marriage Officer. Though courier services might cost a bit more, it is faster and more reliable than posts. All forms and documents will be taken care of by the Marriage Officer. Marriage officer can arrange for wedding services to be held at any location you choose. Wedding services can be held any day of the week, between 6: 00 am and 10:00 pm. Upon your arrival to Jamaica, don't forget to bring all ORIGINAL documents with you. Most hotels in Jamaica have wedding coordinators and inclusive wedding packages for you. 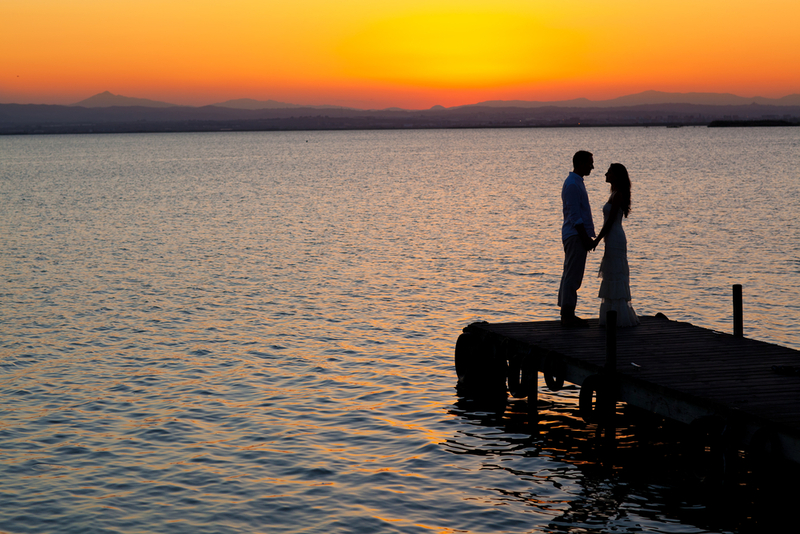 Ask your Travel Agent which ones do; most travel agents will even help you plan your wedding. The process is the same as when using a Marriage Officer; the main difference may be the cost and time frame for sending documents. Some hotels require that the documents be sent in 6 weeks before the proposed date of the wedding. Verify all details with the hotel first. A copy of the Marriage Register, which shows proof of marriage will be given to you immediately after the wedding ceremony. This document is signed by the Marriage Officer, yourself and a witness. Please note that when handed the Marriage Register it must be certified before it can be used for business. The Marriage Officer can apply for your Marriage certificate, and it generally takes between 7 working days to a month to be processed by the Registrar General’s Department ( Registry of marriages, birth and death). You can also apply for it yourself, and there is an express service available. Ask you Marriage Officer or wedding coordinator when you make initial contact and make your payments. If you are not from an English-speaking country, then your documents must be legalised by the Embassy representing your country in Jamaica. After the Jamaican Government issues the authenticated Marriage Certificate, the certified copy is sent the Marriage Officer who then passes it on to your Embassy. Only after your marriage documents are legalised by your country's Embassy/High Command will the wedding process be completed, and your marriage will be recognised as a legal union in your country.